Use the included molds to shape your cheese or hand roll small logs in herbs and enjoy! Good to know: This goat cheese is very versatile and great for beginners! It is light and mild. Perfect for an appetizer or after dinner treat with some fruit! Chevre means goat in French so it covers an endless variety of cheeses made of goat milk. The results with this kit will NOT be like the pungent aged French cheeses you may have encountered. Those take a bit more experience, more aging time, rennet and cultures. Note that a couple of the variations call for cow's milk products but the base recipe works great with good quality goat’s milk. ALLERGY NOTICE: The food items are all gluten-free but packaged in a room that may come in contact with wheat, soy, corn, nuts and other food allergens. 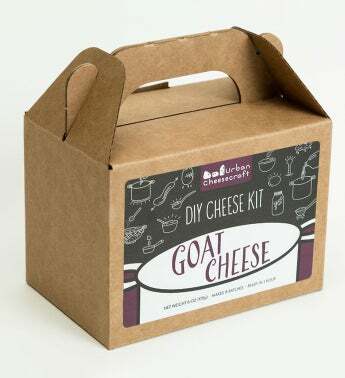 Shelf life for the Crumbly Goat Cheese Kit is 5 years.